A critically endangered species of rhino is the newest addition to the Dvur Kralove Zoo in the Czech Republic. 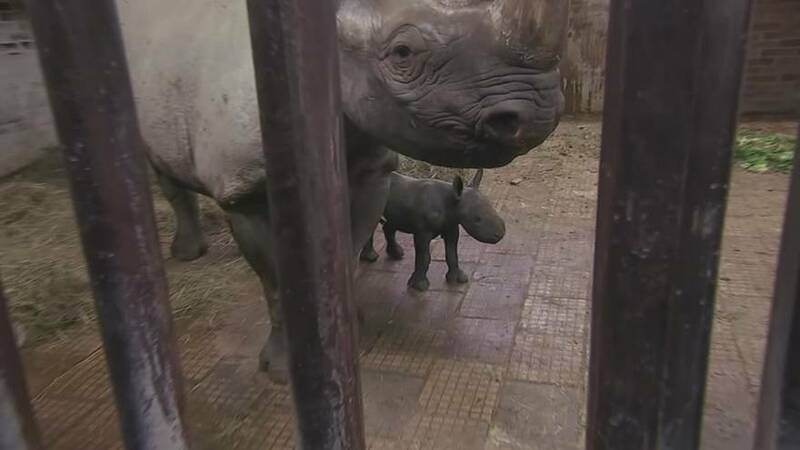 The eastern black rhino was born on Oct. 12 to mother Jola and is the third of its rare subspecies to be born at the zoo this year. The birth wasn’t without complications – the baby was born half the normal size and wasn’t strong enough to nurse standing up, so its keepers had to bottle feed it. They report the rhino is now stronger, feeding normally and bonding with its mother.